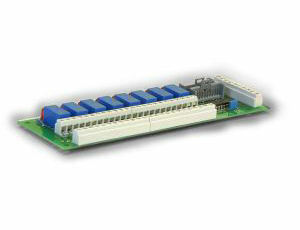 The Noby-28 Relay-8 Module offers eight individually operated relays for all your switching application needs. Each relay has two changeover contacts rated to an absolute maximum of 2 Amps at 30 Volts DC with an LED to indicate relay operating status. The Noby-28 accepts positive 12 Volts DC input signals which can be from low current sources, down as low as 10mA.